We have been in operation for 40 years. Case Timmermans, a Dutch immigrant, began the company in 1978 with a wheelbarrow and a shovel. Erik, his brother, joined him in 1981 and together they built Timmermans to what it is today. We conduct the progress of multiple contracts which include both commercial and residential. We take the responsibility of these contracts, and in the process bring the beauty of nature back to the doorsteps of many homes and businesses in the Fraser Valley, and through out the Lower Mainland. 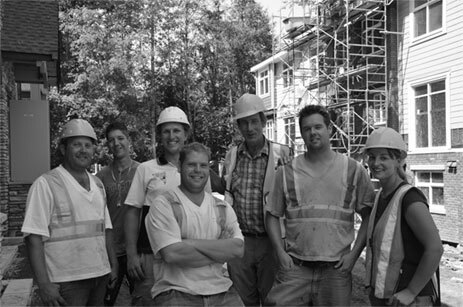 Our employees include Certified Technicians for Allan block, Aqua Paver and Irrigation installation. As well we have a certified Arbourist. Call us for more information.